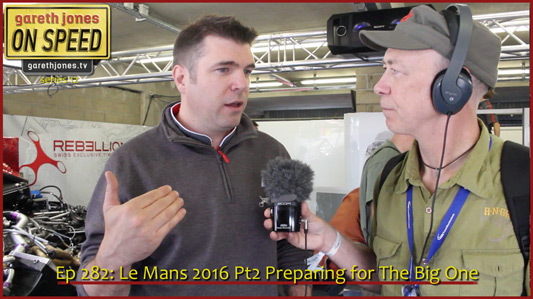 #282 Le Mans 2016 Pt2 Preparing for The Big One. The day before the race, we choose the best cars at the camp site. Gareth meets Stephan Gervais, Simon Cayzer and Mark Chittenden from the Rebellion team. The gang go to “La Grande Parade Des Pilotes”.